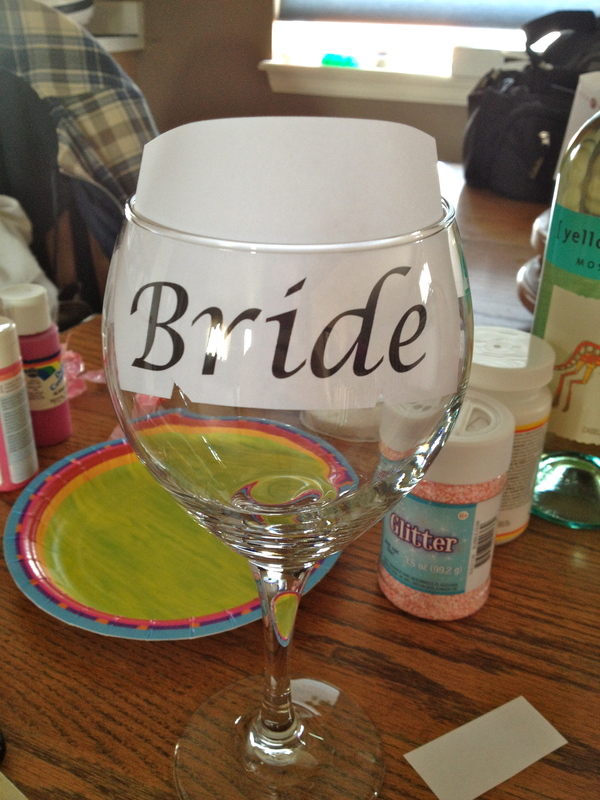 A good friend of mine is getting married next FRIDAY! So soon, and I am so happy for her. This couple deserves the best and I hope them all the happiness in California! 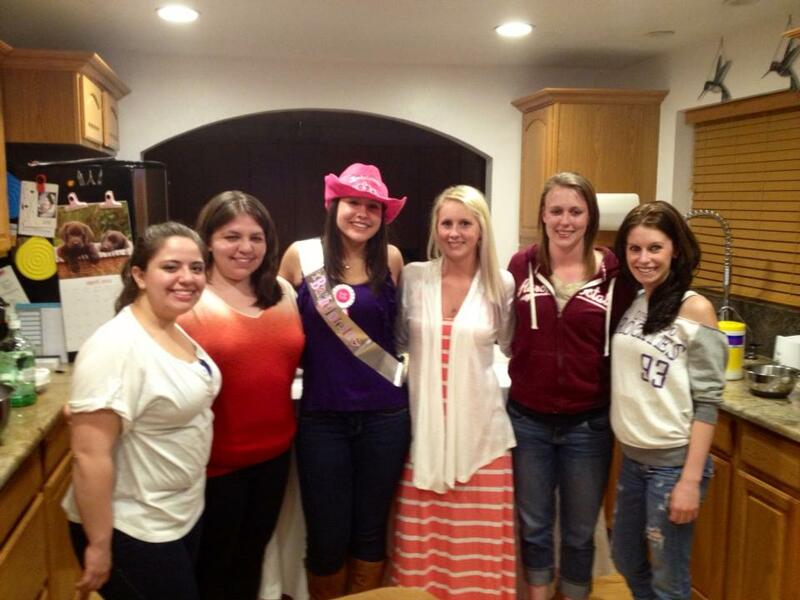 I was invited to her surprise (short notice) bachelorette party. When I arrived, I would have never guessed it was planned in less than a week. 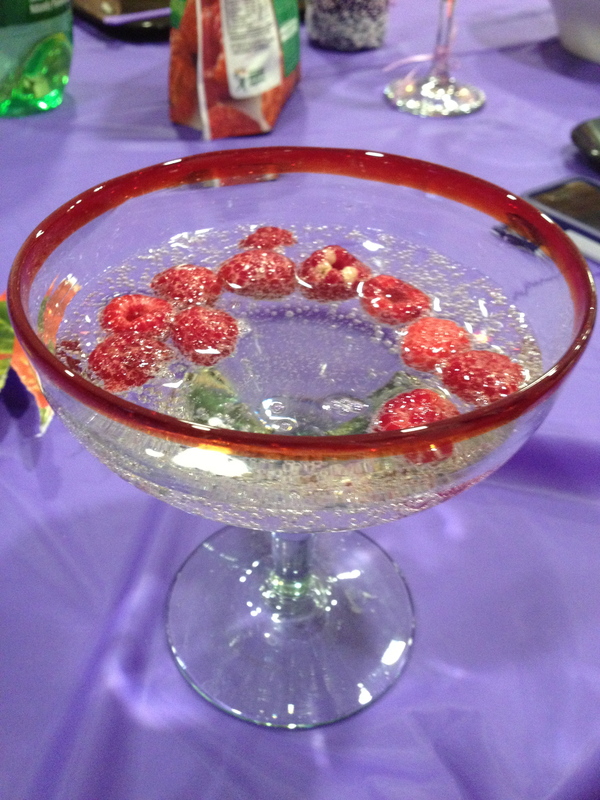 The friends of the bride did an AMAZING job with food and dessert. I had a lot of fun, and was very happy to be a part of such a fun surprise! 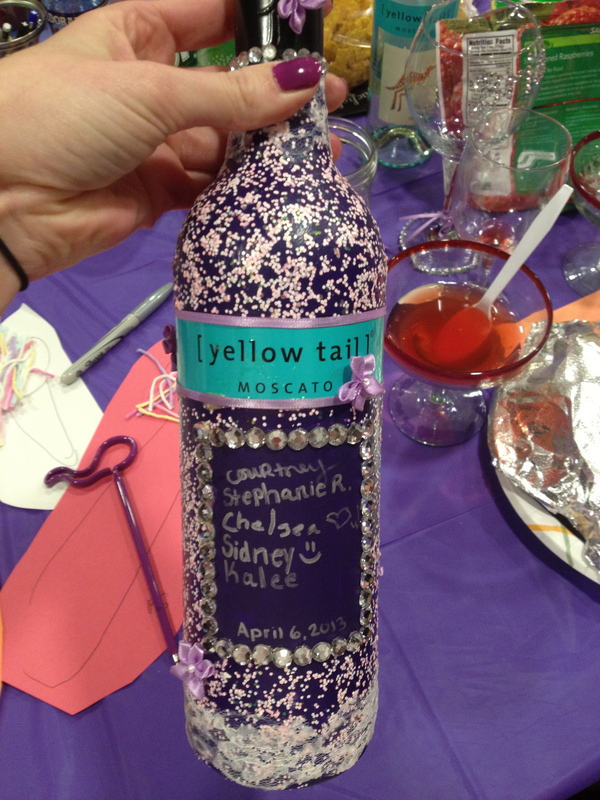 The bride thought she was just coming for a casual dinner, when really… it was her surprise bachelorette party! While this wasn’t a “typical” bachelorette party we still had a great time; good drinks, good games, and great company. I was glad to meet some new girls, and they were so nice and sweet to me! 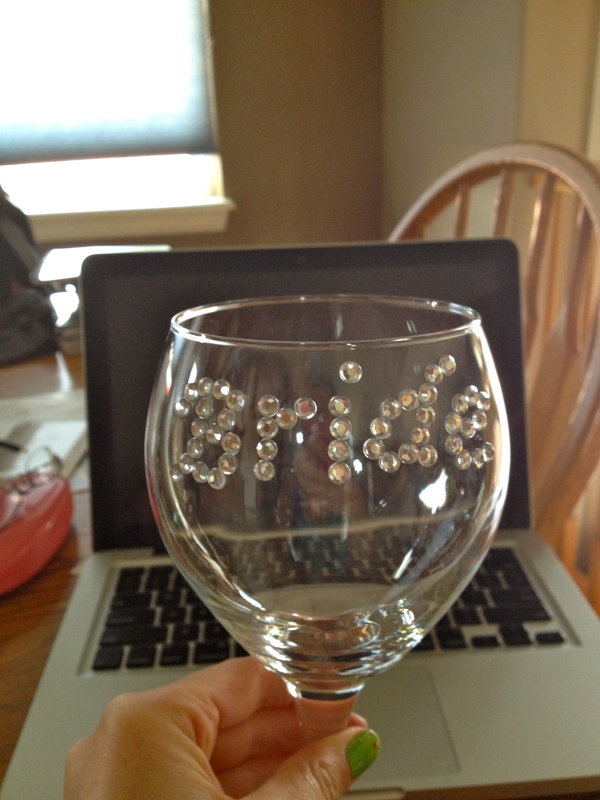 I used sticky back rhinestones, so I did not have to use glue for this. That saved me SO much time, and they stuck surprisingly well. 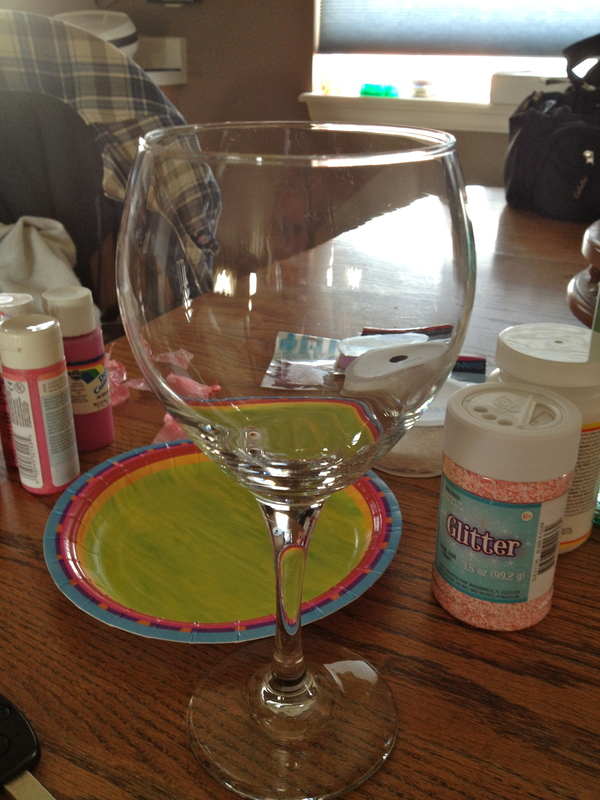 They would not make it through a dish washer, but you still have a wine glass to use after. 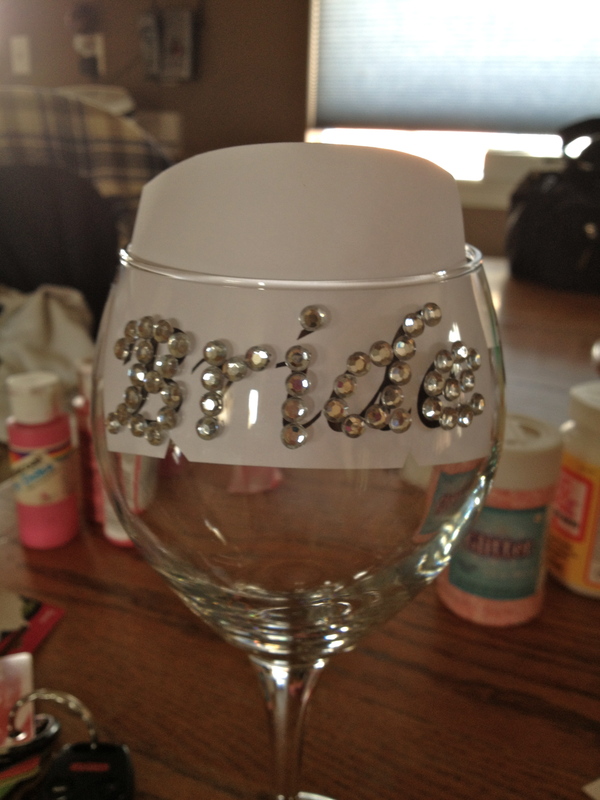 I wrapped some ribbon around the base and covered the bottom rim in more rhinestones as well.